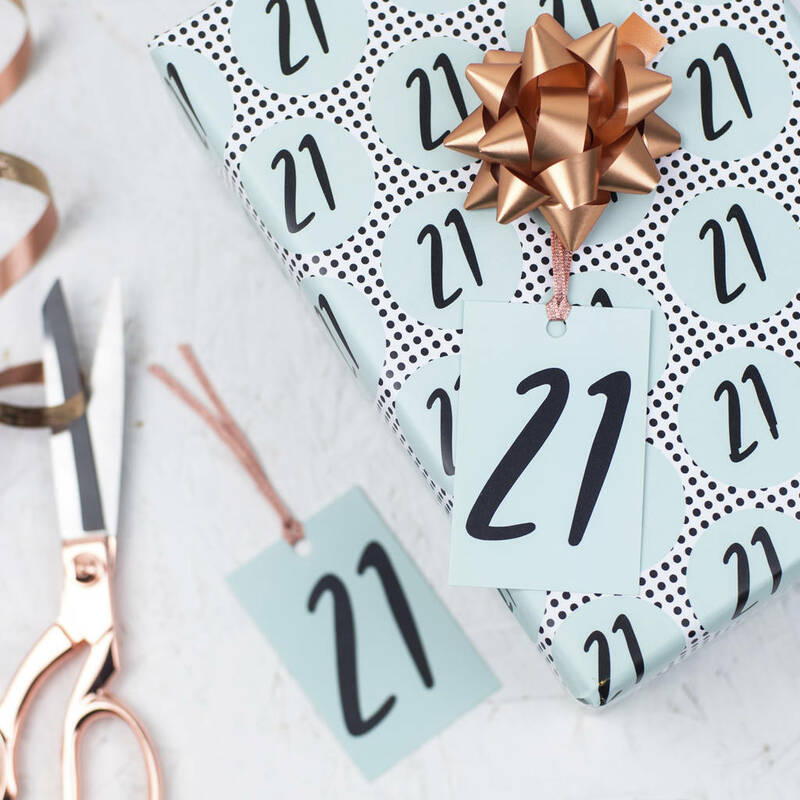 Celebrate the occasion in style with this bright 21st birthday wrapping paper. 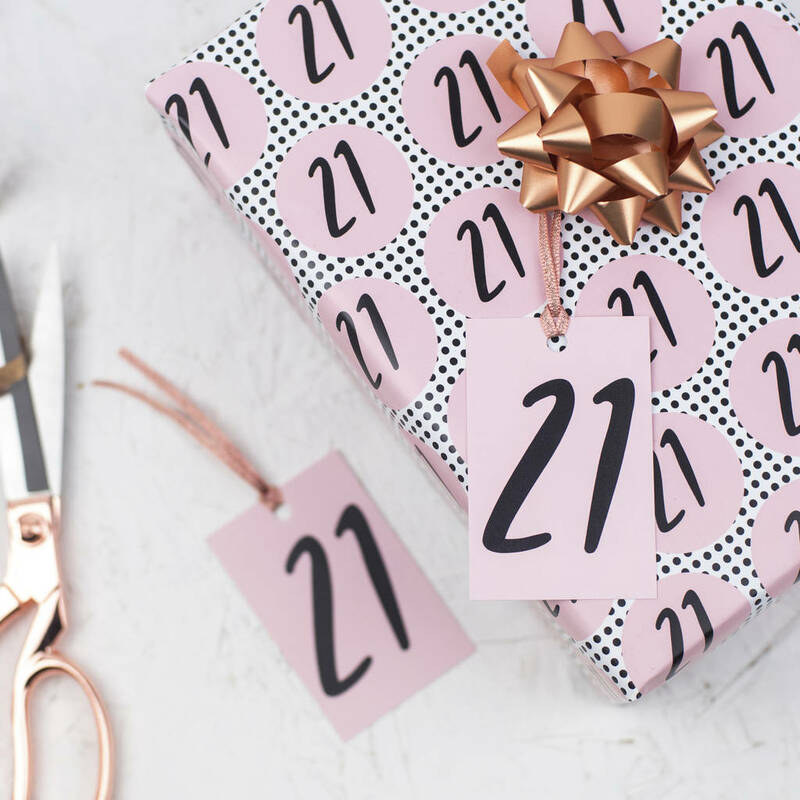 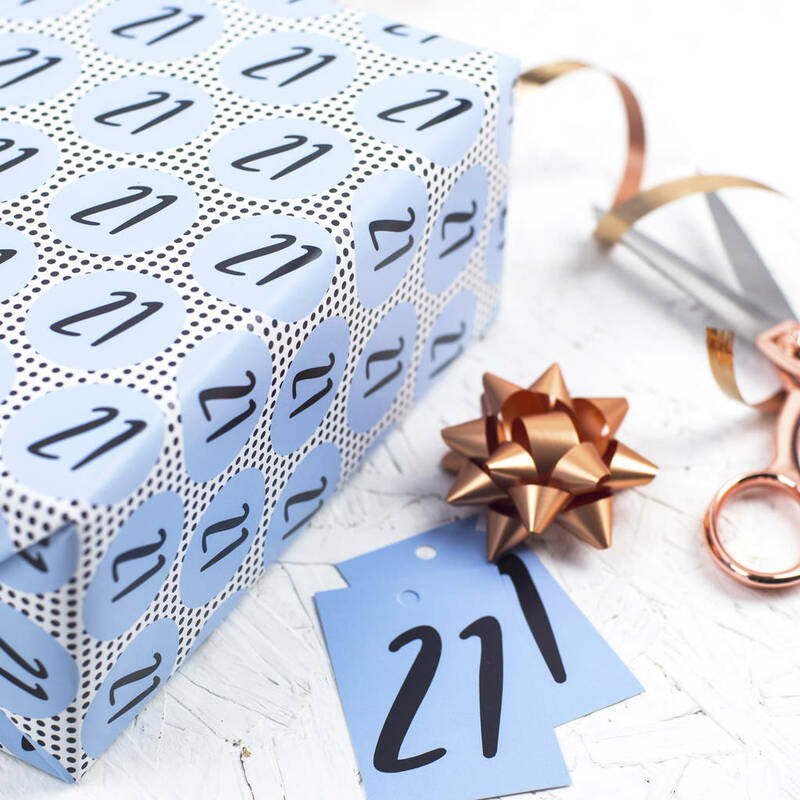 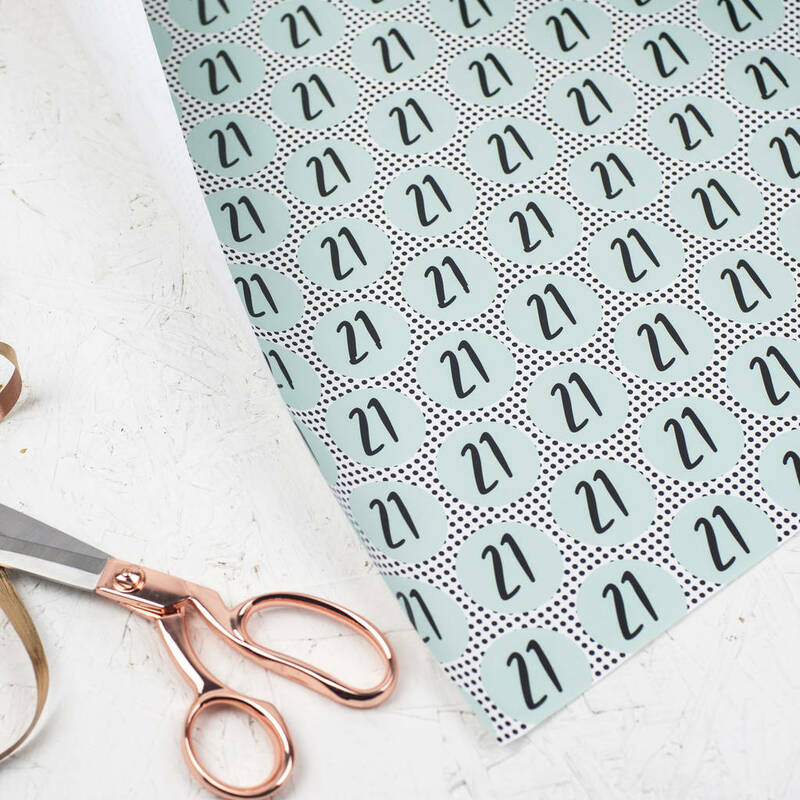 A brilliant birthday wrapping paper for all those 21st birthday gifts! 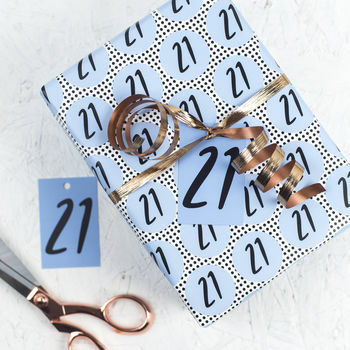 Not only does this paper give your gifts a luxurious look, each sheet has a lovely silky feel and is easy to wrap with. 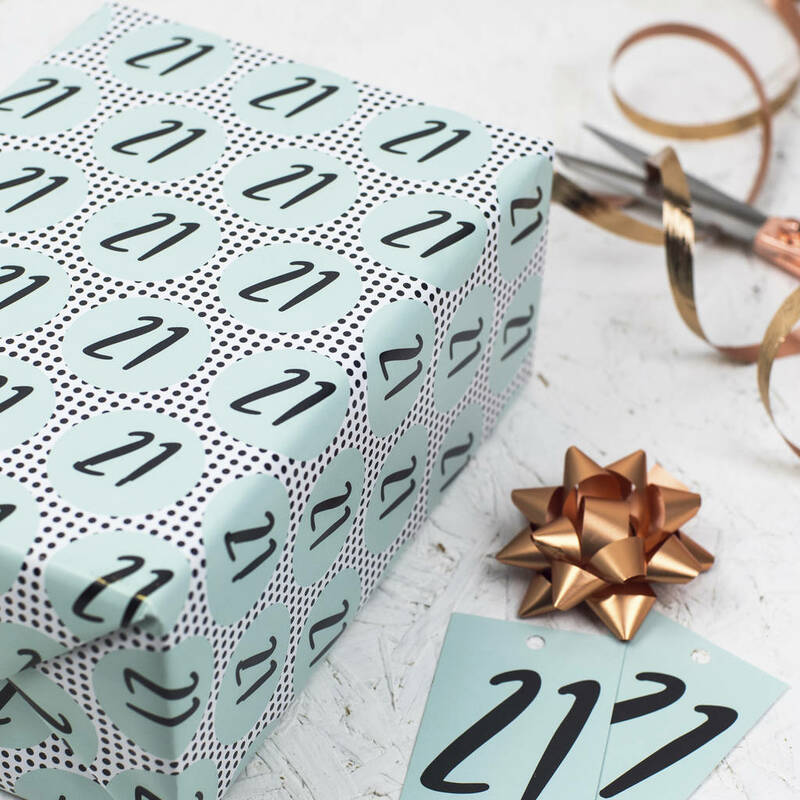 This stand out hand-lettered gift wrap has been lovingly illustrated and printed in the UK. 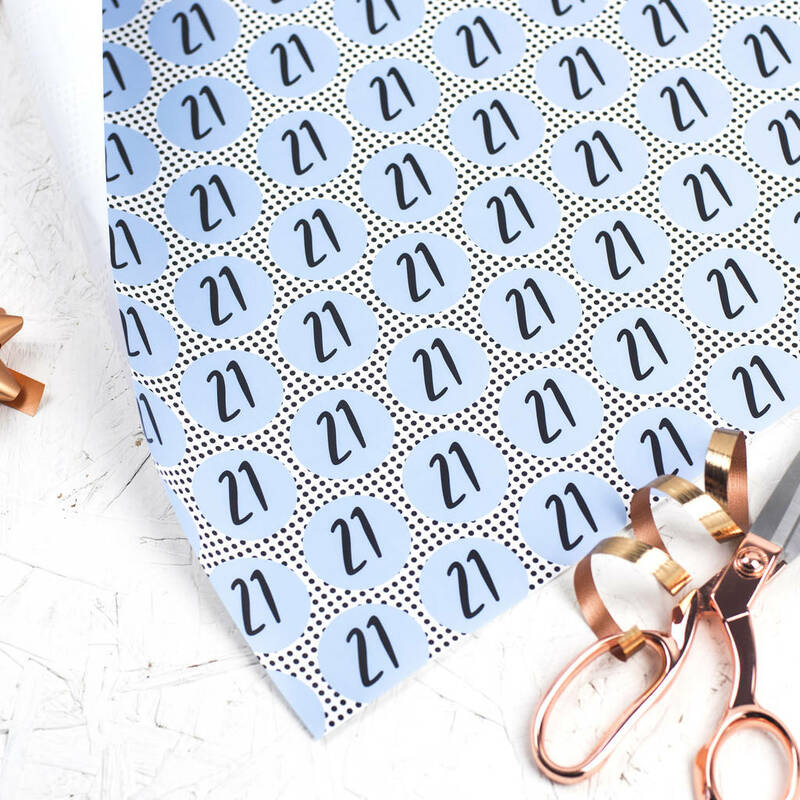 This gift wrap can be supplied folded or rolled in a postal tube. Please choose the ideal quantity from the right drop-down menu, matching gift tags are also avaliable and come with copper ribbon. 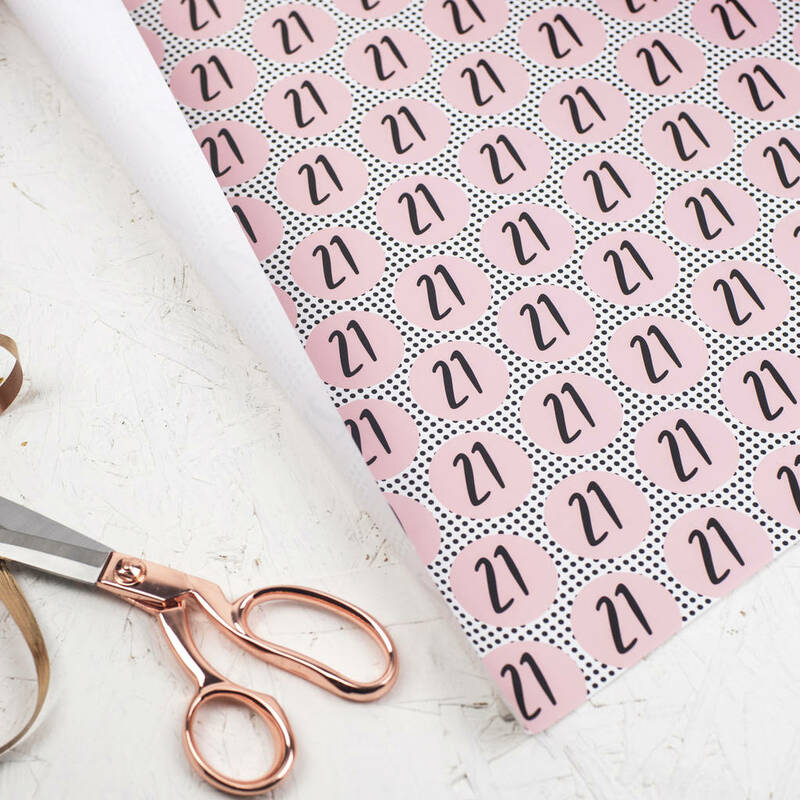 Each sheet of wrapping paper is made from 115gsm luxury silk paper and hand screen printed here in Britian. 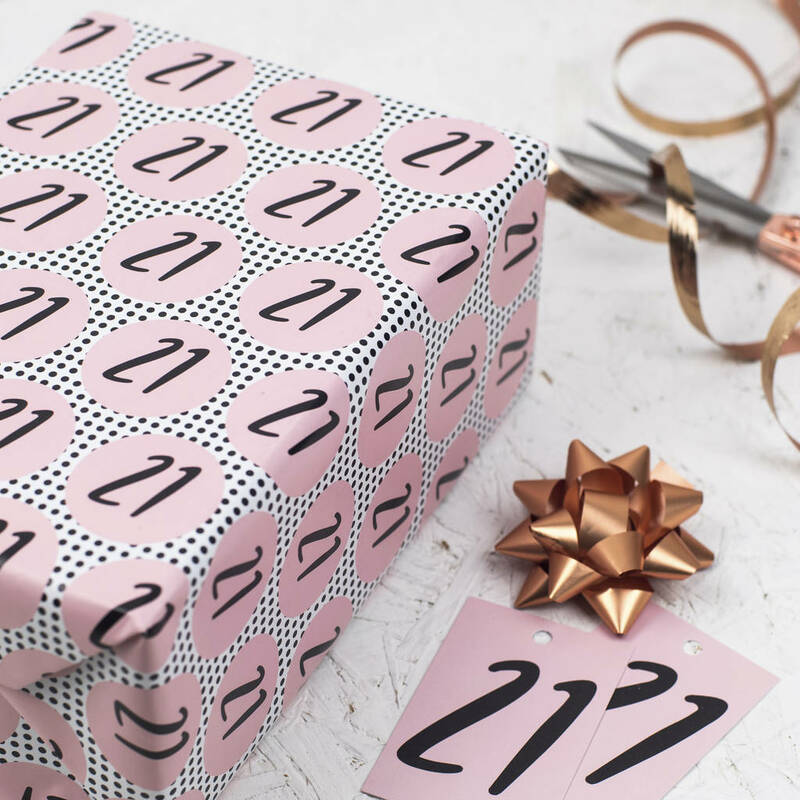 This product is dispatched to you by Harfields Design.